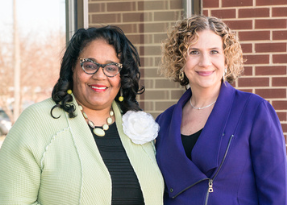 Planned Parenthood Voters of Iowa PAC has endorsed my campaign for Senate District 21. When I am talking with voters at their doors – the egregious actions of the Republican-controlled Legislature in the past two years have them very upset. Make no mistake – this law negatively affected many Iowans who quickly lost access to their trusted provider – Planned Parenthood. The loss of funding forced the closure of four Planned Parenthood clinics in Iowa and thousands of people were left without reasonable access to affordable health care and birth control. If the goal is to reduce the number of abortions in Iowa – then you can point to the overwhelming success of the Affordable Care Act and the Iowa Family Planning Network. Abortions under the Obama administration were at an all-time low and have been decreasing steadily for decades. Apparently, Kim Reynolds and the Republicans in the Legislature want to take us back to unsafe, back-alley abortions and cause the women who seek unsafe abortions to die in the process. I am not willing to allow that to happen. In 2018, Republican extremists in the Legislature (signed into law by Governor Reynolds) passed a law that banned all abortions after six weeks gestation, essentially rendering all abortions illegal, since most women do not even know they are pregnant at six weeks. The law was swiftly stayed by an Iowa District Court judge because it is most likely unconstitutional. Iowa women are sick and tired of having their constitutional right to a safe legal abortion be the subject of political games in the legislature. Planned Parenthood continues to enjoy the wide, bipartisan support of Iowans. Voters in Senate District 21 have clearly expressed their outrage over these over-reaching laws. If I am elected, I will move to repeal these harmful policies and restore funding for Planned Parenthood as soon as possible. I’m very pleased to announce that I have been endorsed by ISEA. Public education is the reason I got into this race and I believe that investing in public education is imperative to the future well-being of students and our workforce. I also believe that public school teachers are modern heroes of our time. We must do a better job supporting them so that they can better help our kids. My mother Ellen is my hero. She was a licensed social worker most of her career and I was often her sidekick. 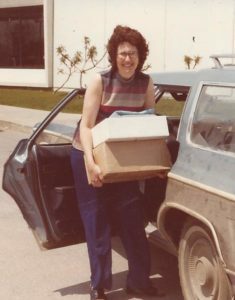 She would load us kids in this dusty old Impala station wagon and take us on “adventures” with her. This particular photo shows one of her many errands that she performed on her own time – just because there was no one else to do it. She had a client who was on kidney dialysis and Mom brought her the necessary supplies every week. This was way before dialysis centers and Amazon.com. Social work is a noble profession and probably one of the most thankless jobs out there. Mom managed to use her original call to service in amazing ways throughout her career. She worked as a social worker at Bidwell Riverside, Pioneer Columbus, the Salvation Army, St. Vincent de Paul and finally ended her career at Polk County General Relief. I watched her selfless service to others and it inspires me to this day. 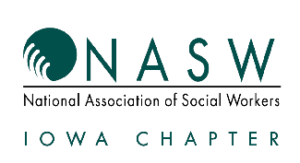 I am very grateful for this NASW Iowa endorsement and if elected I will look for ways to elevate this noble profession and the many thousands of Iowans who do these tough jobs. 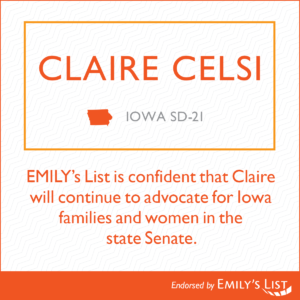 Emily’s List has endorsed my campaign for Senate District 21. I am very committed to supporting and enacting policies that will help women and families reach their full potential. That includes restoring reproductive healthcare funding at Planned Parenthood and other healthcare facilities around the state of Iowa. Thank you, Emily’s List, for your endorsement and your continued involvement in Iowa elections. Women matter in politics! I’m a strong supporter of labor unions. The American workforce is under incredible pressure to accomplish amazing things and it’s the most productive in the world. Labor unions help lift family incomes from subsistence to a living wage. People want to earn enough to take care of their own families without any assistance from the government. Labor unions stand up for workers and negotiate fair wages, benefits and working conditions for workers. Simply stated, unions are needed now more than ever as corporations are exercising more power and amassing wealth and not sharing it with employees. I am proud to accept this endorsement from the Iowa Federation of Labor, AFL-CIO. Thank you to all the working men and women in the labor movement. Keep the faith! I’ve been endorsed by AFSCME Council 61. I have always believed in my heart that fulfilling work is a very important component of a person’s life and central to their well-being. Worker rights are under attack in Iowa and around the country. If elected, I plan to be a leader in restoring the rights of public employees to bargain in good faith, just as they have since Chapter 20 was passed in a bipartisan vote in 1974. Worker rights are crucial in a country where we have to struggle for pay equity, fight against income inequality and have strong representation on our side when something goes awry. Thank you to the working men and women of this state for your faith in me. I promise not to let you down. Peace Officers for Good Government is a political action committee (PAC) representing the interests of the Des Moines Police Bargaining Unit Association and Des Moines Police Burial Association whose memberships are active and retired Police Officers of the City of Des Moines. 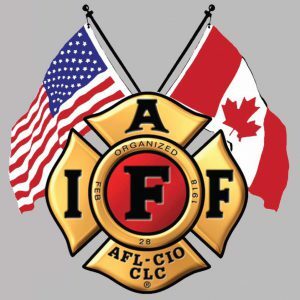 The Des Moines Professional Firefighters Union, IAFF, Local 4, AFL-CIO, CLC has endorsed my campaign for Senate District 21. This endorsement is particularly meaningful to me. My brother Frank is a Des Moines firefighter. When I watch the local news and see a big fire – I’m worried about the victims, of course, but I’m also looking at the names on the jackets to see if I can pick out my brother’s name. Des Moines Fire has a long tradition of serving our community with great distinction. I am so grateful to accept this endorsement from these brave men and women, many of whom are my classmates, friends and neighbors. When the Republicans came after Collective Bargaining (Chapter 20) last year, they carved out firefighters from the deal. Firefighters want to work hard and put in their hours – and be paid fairly. They want to save for their retirement. When they put their lives on the line for us, they want us to have their backs. I will protect their right to organize and bargain for their future salary and benefits. I’m honored and grateful to accept this endorsement. The Sierra Club – Iowa Chapter has endorsed my candidacy for Senate District 21. Sierra Club is America’s oldest, largest and most influential grassroots environmental organization. The Iowa Chapter will take action so all Iowans can enjoy clean air, clean water, clean and renewable energy, expansion and protection of natural areas and wildlife and a government that represents people not polluters. I share many goals with the Sierra Club Iowa Chapter, including restoration of funding to the Leopold Center at Iowa State University, establishing a permanent funding stream for clean water projects and expanding the bottle law to include more types of containers like plastic water bottles. I am very proud to be associated with such a well-informed and active group and gladly accept this endorsement. If I am elected to the Senate, I will work diligently with the Sierra Club to enact legislation that moves Iowa in a more sustainable direction. 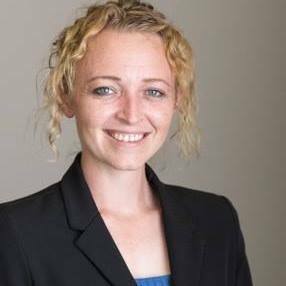 Claire Celsi has worked with us as a consultant to the Des Moines Water Works and a number of other organizations to advance the cause of clean water in the state of Iowa. 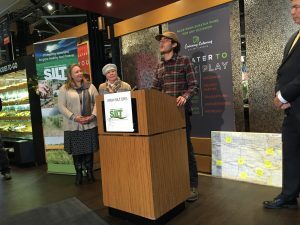 Claire and I worked together on the board of SILT to start the state of Iowa’s first sustainable farmland transfer organization. SILT enables the seamless transfer of thousands of acres of row crop farms to organic farmers. This will allow younger farmers to get on the to land without barriers and will result in much less nitrates from flowing into the Des Moines watershed. The Asian-Latino Coalition is a group that I’ve been actively involved with since its inception. 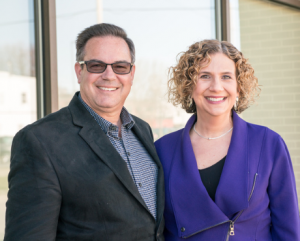 This group has completely redefined political leadership in Central Iowa – taking nothing away from political parties or any other groups who advocate for new leadership in the political arena. Their mission is promote political empowerment and civic participation of the Asian and Latino communities in Iowa. 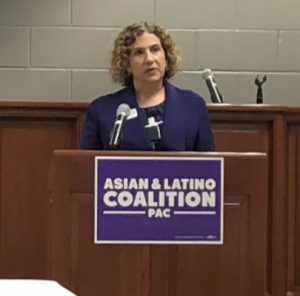 I fully support this goal and will do everything I can to support Asian and Latino candidates for office. A big part of that mission is educating young people about government and running for office. I take that goal very seriously and will always participate in activities that share knowledge and promote full participation in the political process. Sue and I are pleased to support Claire Celsi in her bid to replace Matt McCoy as our state senator. We have known Claire for several years. When we first met her, she told us of her first marriage. As a young mother with two little girls she learned from her husband that he was gay. Although upsetting, she told us that she was glad that he could live his truth. Claire has continued to support the LGBTQ community in many ways. In 2015 Claire stood up against Dowling Catholic High School when it fired Tyler McCubbin as a substitute teacher after he came out. As an alumna and former board member of the school, Claire organized a letter writing campaign to the board and administration. Even though the school did not change its position on Tyler’s employment, the school did allow the students to start a GSA at Dowling. And, now Dowling students don’t need to hide.When Claire’s daughter Bailey got married a few years ago, I was happy to perform the wedding ceremony. It was a thrilling day and I got to meet her wonderful family. Claire’s volunteer advocacy has expanded into food insecurity and affordable housing issues that are adversely affecting our community. 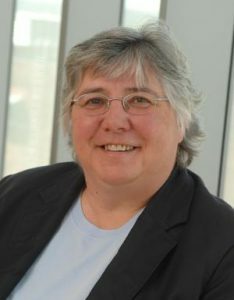 She also helped activate the grassroots group Iowans for Public Education to help combat the lack of funding that affects poor and marginalized kids more severely. 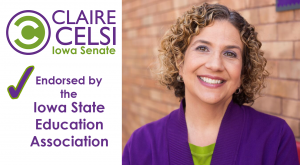 Claire’s advocacy efforts include many other areas of social justice, and we think she will continue to use her voice to be sure all Iowans are represented in the legislature. West Des Moines is one of the fastest growing communities in the state and this department has the challenge of keeping up with the growth and expanded service territory due to the expansion of Fire and EMS service south of the Raccoon River. Thank you for your unwavering dedication to serving the people of the City and for fighting for the EMS employees in your bargaining unit. The Legislature currently does not recognize EMS as an “essential service” in our state, putting life saving ambulance services in jeopardy for a large parts of Iowa. Since it is not required by state law, localities are allowed to not offer it in their community. People are dying of heart attacks, strokes and other conditions because of lack of ambulance coverage in their communities. Some calls for help are not answered for hours, not minutes, due to lack of funding. Can you imagine waiting with a dying loved one for help and help not arriving until it’s too late? Iowans deserve better. I will stand up and defend the collective bargaining rights of firefighters and advocate for a statewide law that requires communities to include EMS services as an essential service. My campaign has been endorsed by Teamsters Local 238. This endorsement means a lot to me, because the Teamsters are on the ground in Iowa fighting for working families, protecting and improving work standards and striving to give workers a fair say in their employment conditions, salaries and benefits. In Iowa, the Teamsters represent a majority of law enforcement agencies including the Iowa State Patrol, Polk County Sheriff’s Office and West Des Moines Police Department. I’m dedicated to helping advance these causes in Iowa if I am elected. I’m already committed to these principles as a private citizen and admire the work of these men and women as they provide service to the citizens of cities and counties around the state. 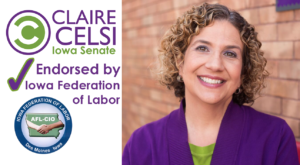 The executive board of Teamsters Local 238 of Iowa endorsed the Claire Celsi campaign for Senate District 25 which is open after Matt McCoy announced he would not seek re-election. Claire has demonstrated unwavering dedication to maintaining and improving in many areas the quality of life for working Iowas. Claire has continued to support the effort to make Iowa a leading state in our public education, in providing affordable healthcare to all Iowans and ensure Medicare and Medicaid remain for Iowans that need them. Claire has worked non-stop to make Iowa’s public education system number one in the country. Claire has supported public sector workers and as a Senator will champion the return of collective bargaining and support of a strong IPERS system. Claire has supported Police, Fire and EMS as a Senator will fight for full funding of training and will champion the continued fight to maintain the public pensions of the Police and Firefighters in District 21 and greater Iowa that were threatened recently by the Legislature. 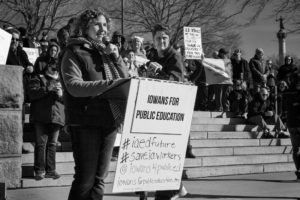 Claire Celsi is a strong advocate for Iowa’s public schools. and believes that every child deserves the best education that Iowa can offer. As a Senator, Claire will fight to make sure our schools are adequately funded so that each child is prepared for their future. Claire is determined to keep our elected officials accountable to our families and make our schools the best in the Nation. 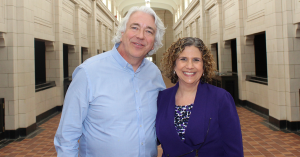 I’m happy to endorse Claire Celsi in the Senate District 21 primary.